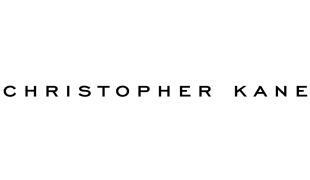 Christopher Kane’s eponymous brand was founded in 2006, in partnership with his sister, Tammy Kane. He has developed a reputation as one of the most talented and innovative British designers and is widely acknowledged to have spearheaded a revival of British fashion. Christopher Kane embodies boundless creativity and innovation by transforming the mundane and everyday into desirable fashion. His collections include women’s ready-to-wear, menswear, pre-collections, handbags, shoes and sunglasses.